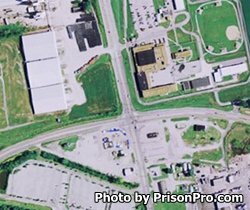 Southwestern Illinois Correctional Center is located in East St. Louis Illinois. It is a minimum security prison that can house 731 inmates. This facility also presides over Southwestern Illinois Work Camp. One of the primary roles of this facility is to prepare inmates for re-entry into society, this is achieved by providing programs and services that give the inmates new skills and lay a foundation for the inmates to use upon release. Offenders incarcerated at Southwestern Illinois Correctional Center can take educational courses that prepare inmates for the GED, and they can even earn a GED. Vocational courses taught at this prison include warehousing, construction, business management, horticulture, and commercial custodial maintenance. Other programs at this institution include parenting and fatherhood classes, anger management and domestic violence counseling, substance abuse treatment and 12 step group programs. Visiting is on Saturdays, Sundays and State recognized holidays from 9am-6pm. Visitors who arrive after 5pm will not be admitted to visitation, you must arrive and be processed prior to 5pm.